Only those homeowners who have paid their 2018 annual dues will be given pool passes (2 per family). Opening Day 2018: The pool will open Memorial Day weekend, Saturday May 26 at 11am. Regular pool hours are 11:00am-8:00pm daily during Copley-Fairlawn Schools’ summer vacation dates, Memorial Day weekend, and Labor Day weekend. Modified hours (3-8pm) on school days once school resumes in late August. Check for weather related closings on the Wedgewood Homeowners Association page on facebook. “Like” it to receive updates. **The annual pool party will be Saturday, July 7th from 1:00-5:00pm. Pool Passes: Pool passes will be distributed as per the previous years. We will email and post a list of dates for residents to come pick them up as we get closer to the pool’s opening. If you fail to pick them up, it is incumbent upon you to contact us in order to make special arrangements. To contact the Board, email whoa@wedgewoodhoa.org. Pool passes will be given to the residents upon collection of a current email address. This allows us the opportunity to confirm or collect email addresses from all residents to assist in the dissemination of pertinent information to all residents in an efficient and cost-effective manner. If you do not pick-up your pool pass, please email the Trustees after the distribution dates to make arrangements to do so. To contact the Board, email whoa@wedgewoodhoa.org. **2018 Pool passes will be distributed at the clubhouse Thursday, May 3rd from 5:30-7:00pm and on Saturday, May 5th from 10:00am-12:00pm. Please note pool passes will not be distributed to homeowners with delinquent dues. Be sure to have your pass with you at all times while enjoying your pool. 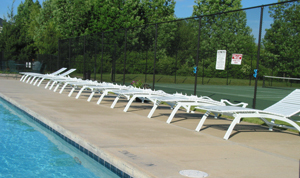 Pool is for the use of members of the Wedgewood Homeowners’ Association and their authorized guests ONLY. A current resident of Wedgewood must accompany guests at all times (a maximum of 4 guests per family). A pool pass is required AT ALL TIMES. Dues must be fully paid to enjoy pool privileges. Lifeguards have the right to require you to show your pass at any time. No children under 12 years will be allowed at the pool without adult or approved caregiver supervision (16 years or older). No glass is permitted in the pool area. Life saving equipment is to be used for that purpose only. No running, wrestling, horseplay, or pushing permitted. No hanging on the rim of the basketball hoop at any time. There is no “shooting hoops” from the concrete area at any time during adult swim. No audio systems are permitted in the pool area, except those using headphones. There is a pool radio available for all to listen to. Swimmers must be clothed in appropriate swimsuits in order to prevent damage to the pool filter system and chlorine levels. No cutoffs, diapers, towels, etc. in pool. Children not potty trained MUST wear swim diapers to avoid potential pool closure due to public health concerns. Other than the restrooms, no swimsuits are permitted inside the clubhouse except during the annual pool party. Please use the trash containers to help keep YOUR pool and clubhouse clean. If you use the grill, please be sure and clean it after you use it. Use of the wading pool is limited to children under 5 years of age and children must have parental/caregiver supervision at all times. Large floatation devices reduce visibility and are not permitted in the pool. Only infant floats and noodle floats may be permitted with adult supervision. Opening and closing times shall be strictly adhered to. 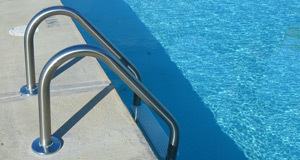 Lifeguard will enforce rules that affect the health and safety of the pool users. THIS IS OUR POOL. TREAT THIS AREA LIKE YOU OWN IT – YOU DO!! Lost and Found: All items left at the pool will be held for 30 days. At the end of that time, all items will be thrown away.